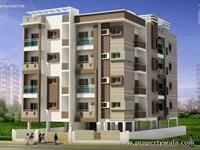 Looking for a property in Kumar Swami Layout? Have a property in Kumar Swami Layout? It is within 10 KM radius from Majestic and Railway Station. KS Layout has one of the biggest hospitals in Bangalore called Sagar Hospitals. Locality has many number of good schools like, Sagar Institutions, Delhi Public School etc. Plenty of business running around and near by flat. Big to small supermarkets available like More, Shop n Save etc. Kumar Swami Layout is easy approachable from city center & Electronic city, Bannerghatta road, NICE road. Kumar Swami Layout, Bangalore is rated 8 out of 10 based on 3 user reviews. Have a good knowledge of Kumar Swami Layout? Share it and become a Locality expert. Mahaveer Gardenia is one of the popular Residential Developments in Kumaraswamy Layout neighborhood of Bangalore.